RainSaucer - Why not use tarp to catch rain? Why not use tarp to catch rain? 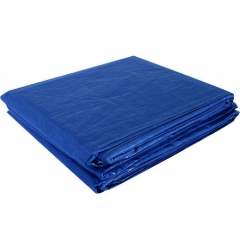 - Poor Wind resistance: even when secured tightly to three or more points, a tarp will act like a giant sail. This may be OK for a temporary setup but not a permanent one. Our product counteracts wind by being as flat as possible and securing directly onto the barrel. This would be difficult to do with a tarp and not run the risk of tearing at some point. - It needs anchoring: which is fine if you have trees and/or tall posts handy . But the need for anchoring makes an install much more complicated and time consuming. Our rain catchers are designed to be DIY, no tools required, with a less than 10 minute install. - It can be an eyesore: especially if in your backyard. We hope our customers think Rainsaucers look cool. The above just means more engineering work lies ahead for us to make tarp work. The main reason we are still looking at it at all is because of its low cost. It may be one way for us to make an ultra low cost version for those people making less than $1 per day in developing countries.